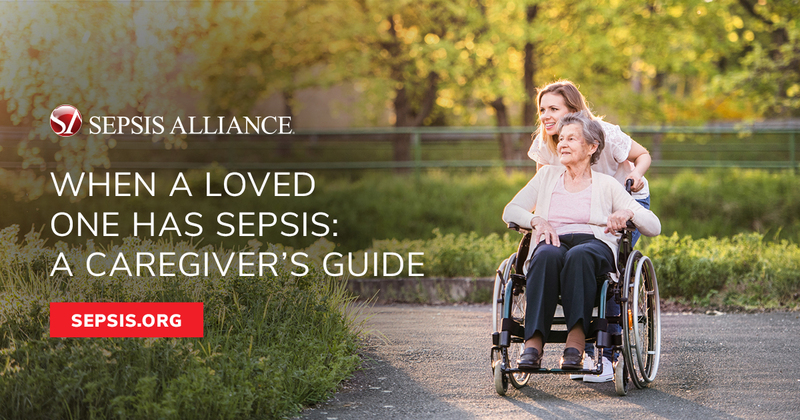 In honor of National Family Caregiver Month, Sepsis Alliance releases guide for family members who care for loved ones with sepsis and sepsis survivors. San Diego, Calif, November 20, 2018 – Sepsis Alliance, the nation’s leading sepsis organization, released When A Loved One Has Sepsis: A Caregiver’s Guide, a free downloadable resource to help friends and family support and care for loved ones with sepsis and sepsis survivors. Sepsis, the body’s life-threatening reaction to an infection, affects 1.7 million people a year in the United States. Due to the seriousness of this disease, people with severe sepsis or septic shock are usually treated in an intensive care unit (ICU). When A Loved One Has Sepsis: A Caregiver’s Guide provides information and tips to help navigate the ICU from a patient’s admission to discharge. The guide covers topics such as the different roles of ICU team members and what nurses are checking when they assess their patients. The guide also encourages caregivers to take time to care for themselves. 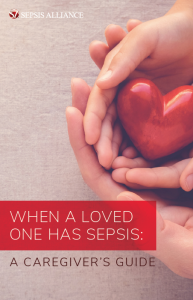 “After hearing from hundreds of family members who unexpectedly found themselves caring for a loved one who had sepsis or who had survived it, we realized we needed to create a guide to support and inform caregivers as they dedicated themselves to the care of their loved ones,” said Thomas Heymann, President and Executive Director of Sepsis Alliance. Though sepsis takes a life every 2 minutes in the United States, every year, 1.4 million people survive. When A Loved One Has Sepsis: A Caregiver’s Guide also includes information to help family and friends understand what their loved one is going through after surviving sepsis and some possible long-term effects. To download When A Loved One Has Sepsis: A Caregiver’s Guide free of charge and to access other sepsis resources for caregivers, please visit www.sepsis.org/resources/caregivers/. Sepsis Alliance would like to thank Don and Marla Wright whose generous support made this guide possible. Sepsis Alliance is the leading sepsis organization in the U.S., working in all 50 states to save lives and reduce suffering by raising awareness of sepsis as a medical emergency. In 2011, Sepsis Alliance designated September as Sepsis Awareness Month to bring healthcare professional and community members together in the fight against sepsis. Sepsis Alliance gives a voice to the millions of people who have been touched by sepsis – to the survivors, and the friends and family members of those who have survived or who have died. Since 2007, sepsis awareness in the U.S. has risen from 19% to 65%. Sepsis Alliance is a GuideStar Gold Rated charity. For more information, please visit www.sepsis.org. Connect with us on Facebook and Twitter at @SepsisAlliance.